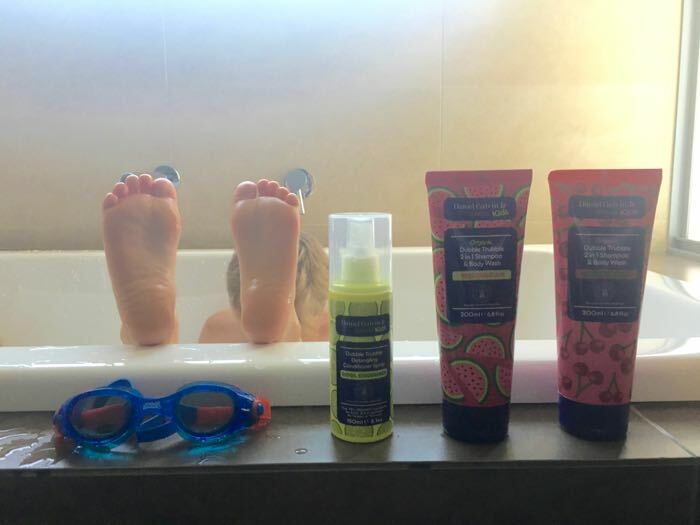 As a busy Mum of two active Boys, who come home from school covered in sweaty sunscreen and mud, I was very excited to be asked to test out a new kids hair and body product. I’ve been looking for a 2 in 1 hair and body wash, free of nasties and easily available to purchase in the supermarket for months now and haven’t come across many options. 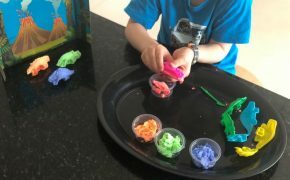 Dubble Trubble is a new, affordable product created for kids, by celebrity hair colourist Daniel Galvin Jr.
My Boys were just as enthusiastic as me to give these products a try and the minute they squirted (a handful!) of the hair and body wash onto their hands, they excitedly told me that it smelt like real watermelon. I love how they can use the same tube to wash their hair AND body. Our shower is always getting crammed up with bottles and tubes so one less is happy days! This product also comes in a cherry flavour which is equally as fruity and fresh smelling. There is also a great detangling spray which literally smells as fresh as a cucumber. This product would’ve been the perfect find for my little man when he was a toddler with knotty hair. My Boys have initiated spraying a mist of this fresh product over their hair before they go to school. They love it! I wash my Boy’s hair every two – three days and I’m finding this spray is great for inbetween washes keeping their hair looking fresh and shiny. 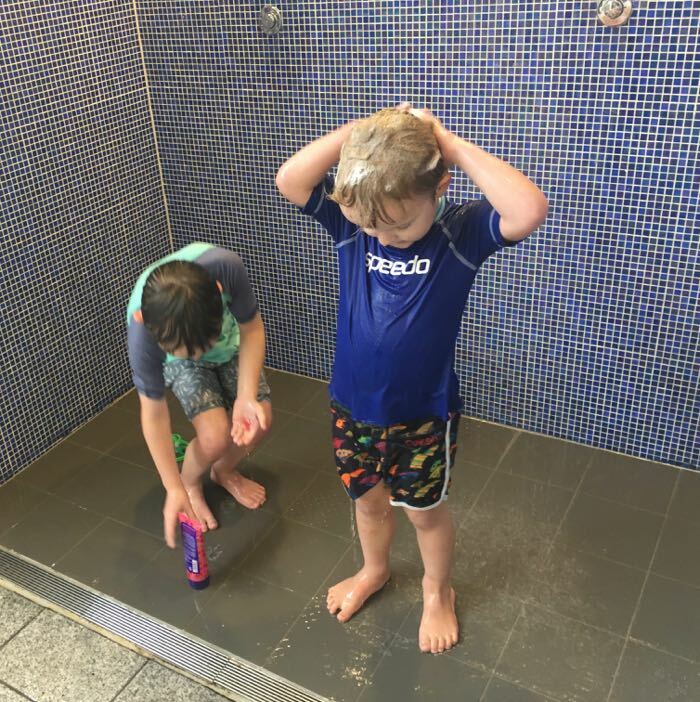 It was my five year old son who suggested we take the products to the pool to use in the shower, as he had seen other kids do. It worked perfectly as the body wash comes in a lightweight tube which is not bulky and there was no spillage. They both happily washed themselves with it at the pool which saved a stressful shower when we got home right on dinner time. It’s always my children who are the voices of reason! Another wonderful thing about these Dubble Trubble products is they are reportedly over 70 percent organic. Did you know that more children today are born with allergies such as eczema and asthma than ever before. 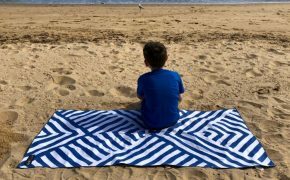 Daniel Galvin Jr states this is due to the synthetics in 95 percent of products that we buy for our children today, which actually destroy and weaken their immune system. I’ve always had an interest in buying products for my kids that have less chemicals in them but knowing this information now makes it even more important to me. Dubble Trubble is currently launching here in Australia and is conveniently available to purchase in Woolworths stores. 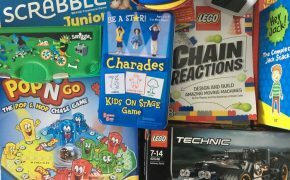 A portion of proceeds from these products goes to The Prince’s Charities Australia supporting a broad range of projects, including Defence Member & their families and Young People. Keep a look out for them when you are next doing the grocery shopping. I’m sure you and your kids will love them as much as we do!